We’re Not Done Drumming is a collaboration between composer Laura Sgroi, and poet Rebecca Thomas. It is a co-commission with Symphony Nova Scotia. Rebecca Thomas completed BA and MA degrees in social anthropology at Dalhousie University. She turned to verse and story-telling in 2013, becoming Halifax Regional Municipality’s poet laureate from 2016-18. For Thomas, a Mi’kmaq woman whose father is a residential school survivor, poetry has served as a powerful tool for educating about the racism and inequality that still haunts many Indigenous peoples in Canada. Rebecca Thomas writes: “Canada has tricked us into believing it was right. It has spun a narrative that places Indigenous peoples as primitive, in need of oversight and guardians. We are taught that colonization brought Indigenous peoples into a modern era. “The aim of this piece is to challenge that narrative. We’re Not Done Drumming is broken down into three movements, Newte’k, Tapu’kl, and Ne’siskl, that capture three major themes in Indigenous-Settler relations. “The first movement signifies pre-contact. This movement is meant to convey confidence, safety, and assurance. Furthermore, it’s to show that there was a thriving civilization prior to Europeans invading what is currently known as Canada. “The second movement is more aggressive and militant. It’s systematic, almost mechanical in its approach and sound. The violence that Indigenous peoples faced is often erased or downplayed as a product of its time. This movement is supposed to make the audience uncomfortable with this history. When creating it, both the writer and composer wanted to capture the perception that European settlers had to justify the subjugation and oppression of Indigenous peoples, while masking it as benevolence. Here, the first peoples are clearly suffering with little to no regard given to them. There’s a long and winding tale to this delightful three-movement work, which combines elements of symphony, concerto and even chamber music, into one highly-enjoyable package. The piece is widely known as K. 297b, thus pairing it with K. 297, the Paris symphony which Mozart wrote in the French capital in 1778. While there, the 22-year-old Mozart met four wind virtuosi whose playing enthralled him. According to Mozart’s letters to his father, Jean Legros, director of the leading Paris concert series, the Concert spirituel, then gave him a commission for a symphonie concertante, with performance dates on April 12 and 19. Paris was the hub of what the French termed the symphonie concertante and French composers took to the hybrid form in the 1770s with a vengeance. Not too long ago, a scholar justified his research grant by tracking 570 symphonies concertantes by 210 composers, mostly written for musicians in and around Paris. This was music that performers wanted to play and audiences wanted to hear – and both were willing to pay to facilitate the process. The scheduled performances of Mozart’s wind concertante, however, never happened. Mozart suspected intrigue. He had sold his only manuscript to Legros, but promised his father that he would write it down again, from memory. “I have it still fresh in my head”, he said. The original score has never been found. Mozart never wrote out his copy and for almost a century, nothing more was heard of his orchestral work with solo flute, oboe, horn and bassoon. Then, in the late 1860s, a score surfaced of an anonymous concertante for a slightly different quartet of soloists – oboe, clarinet, horn and bassoon – and the 19th century Mozart biographer Otto Jahn had a copy of it made for his own use. He died, the original manuscript was never found, but Jahn’s copy of the newly discovered, unnamed work was published in 1886 in a supplementary volume of the Breitkopf & Härtel complete Mozart edition. The anonymous work’s toehold in the Mozart catalogue had now begun. By 1937, the third edition of the complete Mozart edition listed the piece as K. 297b, as an arrangement of the lost sinfonia concertante. This was the highpoint in K. 297b’s climb. By 1964, the sixth edition of Köchel pushed it down the rankings into an appendix of ‘doubtful’ works. In 1980, now published in Volume 1 of ‘works of questionable authenticity’, the series editor describes the hapless concertante as ‘utterly dubious.’ All along, of course, musicians, beginning with Mozart himself, had been coming up with conspiracy theories and one of these was put to the test in the late 1970s. Two musicians, Robert Levin and Daniel Leeson, both musicologists, the latter also then a computer industry executive, used computer technology to prove a longstanding belief that the solo parts came from Mozart’s pen, while the orchestral parts were made to fit around them by another hand, likely after Mozart’s death. This is the conclusion that their analysis appears to confirm – that the solo parts carry the hallmarks of a composition by Mozart, while the unevenness of the orchestral writing and overall structure of the piece belong to an unknown arranger. If, like me, you love the piece, you’re in good company. There are dozens of recordings of the work known as ‘K. 297b’ and generations of music lovers have enjoyed how each solo instrument adds its own identity to the work’s many melodies, how they compete with one another in virtuosity and how they combine in fellowship. The first movement cadenza is a joy of music-making. The slow movement anchors the piece, while the finale, like all the great Mozart opera finales, gives each soloist an opportunity for dialogue with a partner and its own spot in the limelight. There is much enjoyable music to be found in the old spuriosity shop and this is a prime example. “I am Salomon of London and I have come to fetch you. Tomorrow we will arrange an accord.” With these now legendary words, German-born violinist Johann Peter Salomon, working as both violinist and impresario in England, introduced himself to Haydn in Vienna late in 1790. Haydn’s long-time patron, Prince Nikolaus Esterházy, had died weeks earlier and Haydn was now free to travel. With Salomon as his guide and mentor, the first series of subscription concerts at London’s King’s Theatre was an artistic, if not financial, success. A second season was a little more experimental, with similar results. In 1794, armed with three new symphonies, including the partly written ‘Clock’ symphony and six new string quartets, Haydn had his most successful season, artistically, financially and socially, in the British capital. Recognized for forging solid bonds with orchestras, this season will also see Swensen returning to guest conduct his closest partners, the Orchestre National du Capitole de Toulouse and Orquestra Sinfónica do Porto Casa da Música, as well as Estonian National Symphony Orchestra and the Kitchener Waterloo Symphony. In 2018 he returned to the BBC National Orchestra of Wales and made his debut with Orquesta Sinfónica de Navarra. During his nine-year tenure with the Scottish Chamber Orchestra, Swensen and the orchestra toured extensively in the US, UK, Europe and the Far East. They performed together at the Mostly Mozart Festival in New York, Tanglewood and Ravinia Festivals, the BBC Proms, the Barbican and the Amsterdam Concertgebouw. With the Orchestre de Chambre de Paris, Swensen appeared at the “Festival de Radio France” in Montpellier and “La Folle Journée” at Nantes and Tokyo. 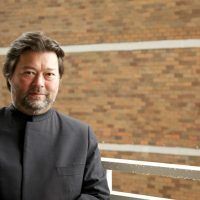 As Principal Conductor of the Malmö Opera in Sweden, Swensen conducted highly acclaimed productions, notably rarely staged ones such as Macbeth, Vanessa, The Dialogues of the Carmelites and La Fanciulla del West, alongside Salome, La Bohème, La Traviata and Madame Butterfly, among others. Before launching his conducting career in the mid-1990s, Swensen enjoyed a highly successful career as a violin soloist appearing with the world’s major orchestras and conductors. As an exclusive recording artist with BMG Classics he recorded the Beethoven violin concerto with André Prévin and the Royal Philharmonic and the Sibelius violin concerto with Jukka Pekka Saraste and the Finnish Radio Symphony Orchestra. The violinist and conductor naturally meet in the art of play-direct. With a special interest in exploring and developing this art, Swensen has extended the repertoire far beyond the classical period, directing from the violin concertos by composers such as Brahms, Barber and Prokofiev. His series of recordings for Linn Records featuring Brahms, Mendelssohn and Prokofiev’s second concerto, with the Scottish Chamber Orchestra were internationally acclaimed. With the Orchestre de Chambre de Paris, Swensen created the first ‘Paris Play-Direct Academy’ in May 2011. A multifaceted musician, as a composer Swensen’s works include Mantram for string orchestra, Latif for solo cello with chamber ensemble, Shizue for solo shakuhachi and orchestra, and the Sinfonia-Concertante for Horn and Orchestra “The Fire and the Rose”. Swensen’s Sinfonia in B an orchestration of the rarely performed 1854 version of Brahms’ Trio Op. 8, has been recorded for Signum Records. Joseph and Victoria Swensen present year-round workshops and offer residencies for chamber-music, conducting and instrumental study at their 250 -year old, 15 room farm-house in Vermont. Highly regarded as one of Canada’s most prominent oboists, James Mason is the Principal Oboe of the Kitchener-Waterloo Symphony. He came to Canada in 1975, accepting the Principal Oboe position with the Saskatoon Symphony Orchestra, moving to Kitchener in 1979. He has appeared as a soloist, chamber musician and teacher in Germany, Holland, Spain, South America and Japan as well as the United States and Canada. He has appeared as a soloist with the Kitchener-Waterloo Symphony Association a total of 73 times, more than any musician in its history. Throughout his career, Jim has regularly recorded for live broadcast on CBC radio. He has been recorded as a soloist with the KWS a total of 8 times and has recorded most of the standard chamber music and solo oboe repertoire, along with several new works for oboe and orchestra written specifically for him. In January of 2007 the Gallery Players of Niagara released a CD of works for oboe and strings commissioned for and recorded with Jim, entitled Canadian Oboe Quartets. In the summer months, Jim is active in festivals across North America. He performs regularly in the Elora Festival (Elora, Ontario) and Festival of the Sound (Parry Sound, Ontario). Jim and his wife, violinist Julie Baumgartel, were founding Co-Artistic Directors of the Grand River Baroque Festival. From 2008 until 2012 Jim was on the faculty of the Orford Music Academy as a performer and coach. He has been invited to be on the faculty of Canada’s National Youth Orchestra and the Banff Summer Festival. 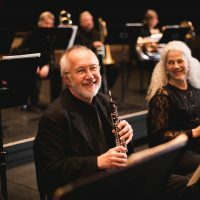 Jim has appeared as guest Principal Oboe with the Boston Symphony, Toronto Symphony and Montreal Symphony Orchestra, along with the National Arts Centre Orchestra. Jim is on the faculty at Wilfrid Laurier University. A dedicated teacher, in May of 2008 he was the recipient of the WLU Alumni Association’s Faculty Mentor of the Year Award. Jim’s former students started a scholarship fund at WLU in his honor, the James Mason Oboe Scholarship. His students are active in orchestras and musical organizations across the US and Canada as both performers and administrators. In 1999 Jim Mason was awarded the Kitchener-Waterloo Arts Award for Music. He performs on a Yamaha oboe and is a Yamaha Artist. 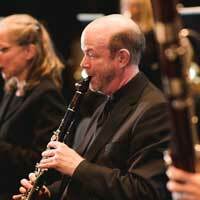 Ross Edwards is the Principal Clarinetist with the Kitchener Waterloo Symphony. He is a veteran of the Canadian orchestral scene, having held several Principal Clarinet positions since winning his first professional audition at age 19. When he was a youngster, he considered pursuing a career as a comedian or comedy writer! He discovered music as a teenager and was so fortunate to have had the very best teachers at every step of his training. Ross began his studies in his native Montreal and later continued in Chicago, Paris and Berlin. He has been a featured performer at several Chamber Music festivals throughout Canada and has also taught clarinet at Wilfrid Laurier University for the past 18 years. Ross is celebrating his 25th season with the Kitchener-Waterloo Symphony and has been a soloist with the orchestra on previous occasions in works by Mozart, Copland and Weber. 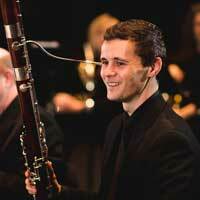 Ian Hopkin joined the Kitchener-Waterloo Symphony Orchestra as principal bassoonist in September 2012 after completing his Masters of Music at the University of Ottawa, where he was a student of Christopher Millard. He completed his Bachelor of Science in Neuroscience at Dalhousie University in 2009 before making the decision to change career paths. Since that decision, Mr. Hopkin has performed with the National Arts Centre Orchestra of Canada, the Ottawa Symphony Orchestra, has performed and toured with summer festival orchestras including the National Youth Orchestra of Canada, the National Academy Orchestra, L’Orchestre de la Francophonie, and has recorded with CBC on numerous occasions. He has participated in summer festivals including the National Arts Centre Orchestra’s Youth Artist Program, Domaine Forget, Scotiafestival, and has received five awards from the Nova Scotia Talent Trust to support his studies. Katherine Robertson has been a member of the Kitchener Waterloo Symphony since 2005. 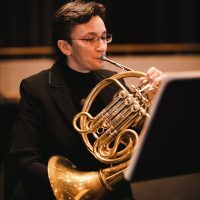 Previously, she was with the Orchestre Smphonique de Quebec, the Philharmonisches Orchester Freiburg (Germany), the Winnipeg Symphony, and has worked extensively for the National Arts Centre Orchestra. Katherine received her Bachelor of Music in Performance from the University of Toronto, studying with Eugene Rittich and a Postgraduate Diploma in Performance from the Hochshule fur Music in Freiburg, studying with Ifor James. Katherine is currently a faculty member at Wilfrid Laurier University.